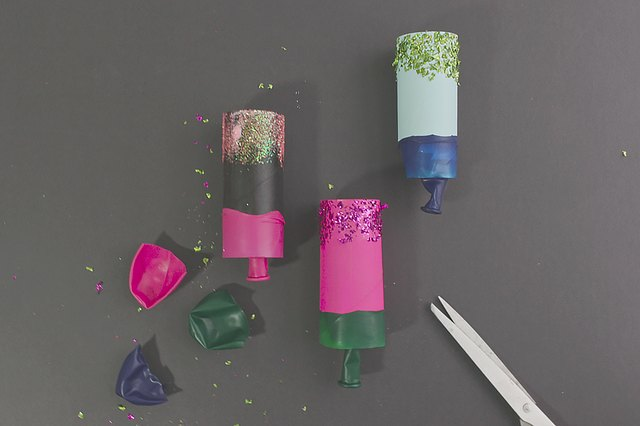 Recycle a few toilet paper tubes, grab some balloons, and you have yourself some seriously stylish confetti poppers. Whether you make these poppers before a party, or allow guests to customize them as an activity, they will surely be a hit. 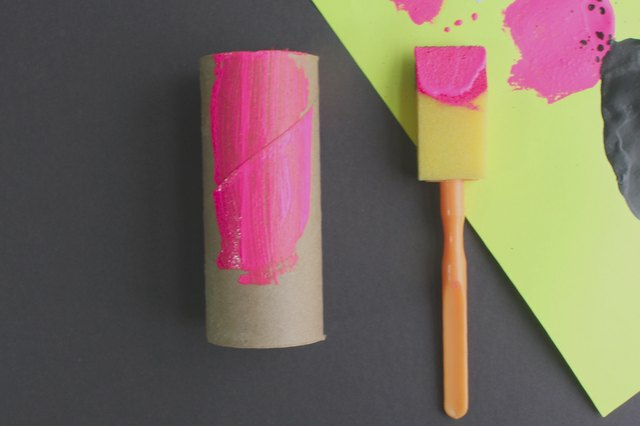 Paint each toilet paper tube or glue decorative paper around it, and allow to dry completely. This step will transform the common piece of cardboard into a party-worthy accessory. Craft paint covers well, dries quickly, and allows for variety. 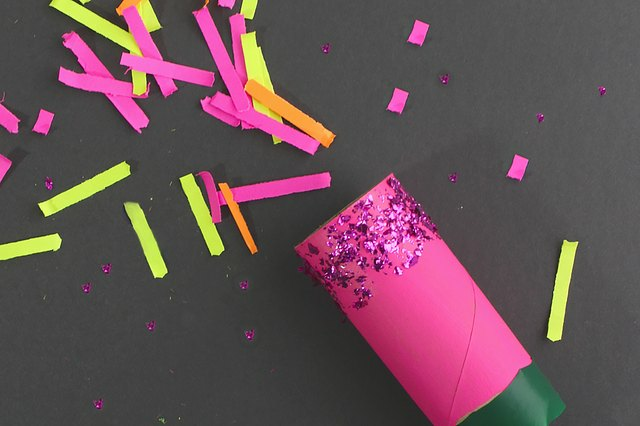 Make this a fun kids' activity to hold their engagement, entertain, and procrastinate sleepiness for a New Year's Eve party! Instead of using messy paint, let them exhibit independence by using a variety of washi tape, markers, or stickers to decorate the tubes. Apply a thin layer of liquid glue around the tube with a paintbrush. 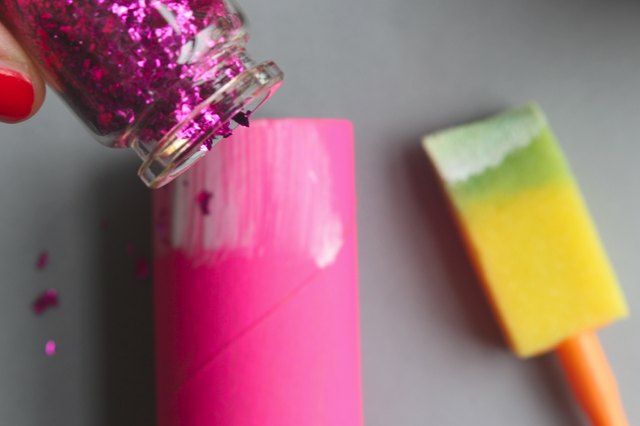 Before the glue begins to dry, sprinkle glitter generously over the toilet paper tube until you reach the desired effect. Shake off any loose glitter, and set aside until dry. Using a sharp pair of scissors, cut a standard size balloon in half horizontally, leaving the mouth piece intact. Discard the top half of the balloon, and place the remaining half over one end of the toilet paper tube. 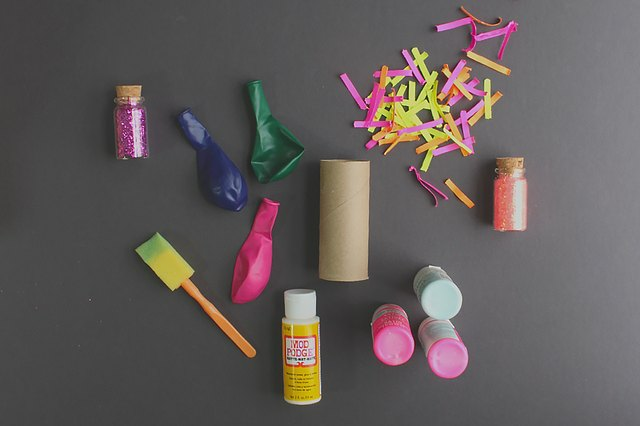 Add a small amount of confetti into the open mouth of the party popper, then pull back on the balloon and let go. The snap of the balloon will push the confetti right out of the tube over and over again! Occasionally, the bottom of the balloon inverts itself. Place a finger into the opening of the balloon and pull back until it is facing the correct snapping position. Balloons are a chocking hazard to small children. 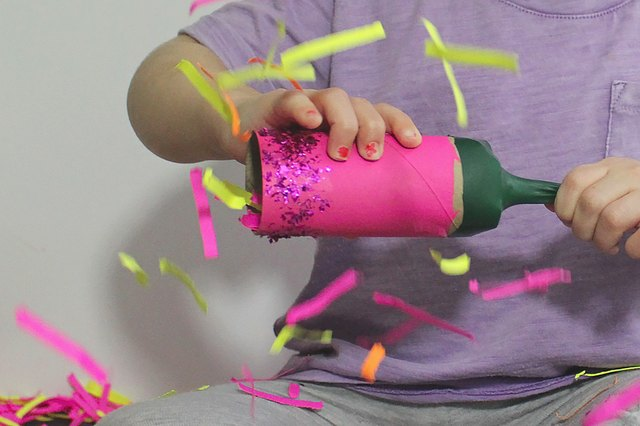 When using with little ones, place tape around the base of the balloon to secure it more firmly to the toilet paper tube, and always use with supervision.